The casual dining restaurant (CDR) space is a crowded and competitive one. The time is now for brands to reevaluate their diner retention strategies. 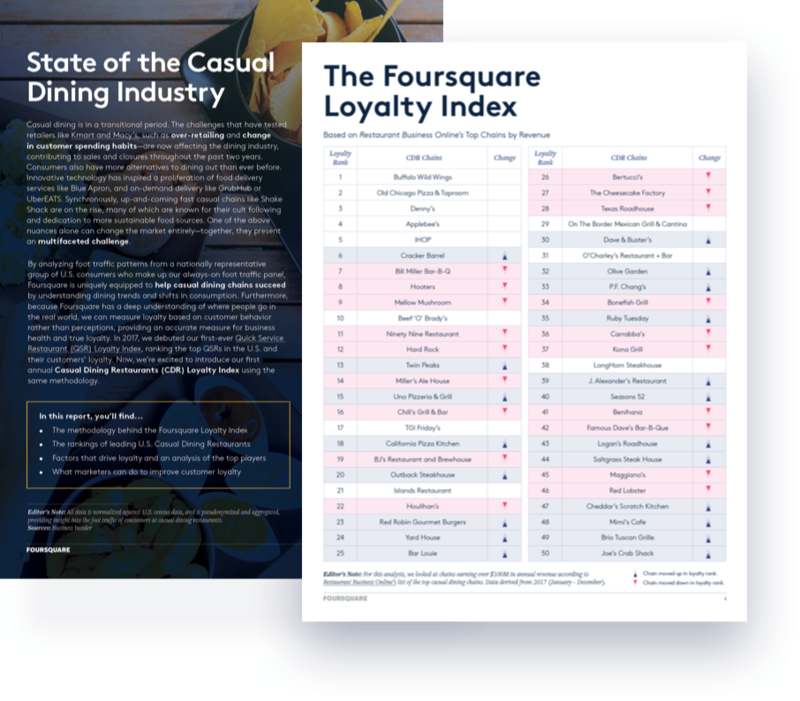 To better understand what inspires strong loyalty, we looked at the top 50 CDRs in the U.S., to highlight trends and commonalities between some of the country's most beloved chains.